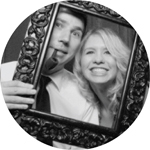 The other week, Brooke and I had an amazing dinner at Clarke’s of North Beach. To finish off the night we were served an incredible deconstructed Lemon Meringue Pie and Lemon Pudding. The pie embodied everything there is to love about lemon desserts. The lemon filling was tangy, and the sweet meringue balanced the sharpness of the lemon beautifully. This delightful lemon dessert set the wheels of inspiration in motion for us to attempt making our own easy lemon curd recipe at home. With an abundance of lemons we had at the house which had been given to us from some friends it was decided we must make lemon curd! When making lemon curd (or any lemon dessert) always try and use home grown lemons. Yes, the ones in the shops look amazing, but they have nowhere near enough flavour! That’s the best piece of advice we have for anyone attempting to make their own lemon curd. When thickening the curd, you want it to be thick enough to coat the back of the spoon or whisk. 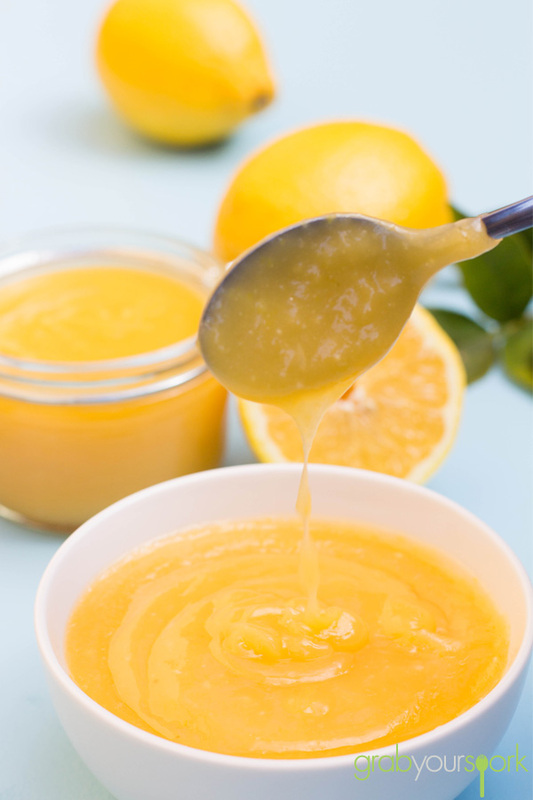 This super easy lemon curd recipe is something anyone can master at home. If you are looking for something to go with your lemon curd on then try our cranberry and apricot hot cross buns. When making Lemon curd (or any lemon dessert) always try and use home grown lemons. Yes, the ones in the shops look amazing, but they have nowhere near enough flavour! 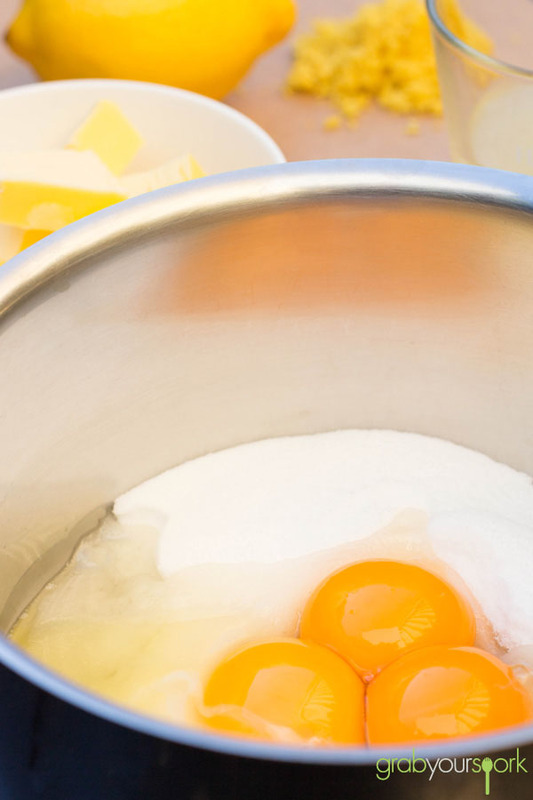 Whisk whole eggs, yolks and sugar in a saucepan until smooth, then place pan over a low heat. Strain through a sieve into a bowl or jar. The curd will continue to thicken as it cools. Lemon curd will keep for two weeks in the fridge when covered. If you get little white bits in your butter, it is just the egg whites. 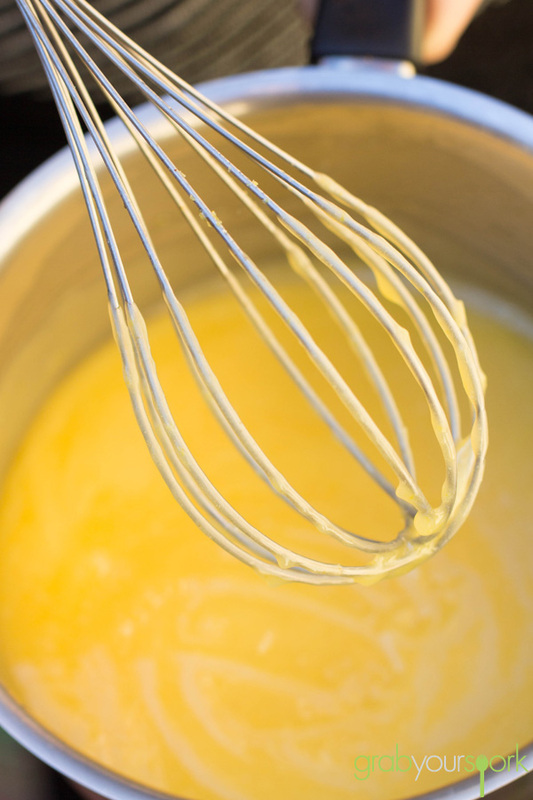 Your lemon butter will still be fine, once you have strained it. 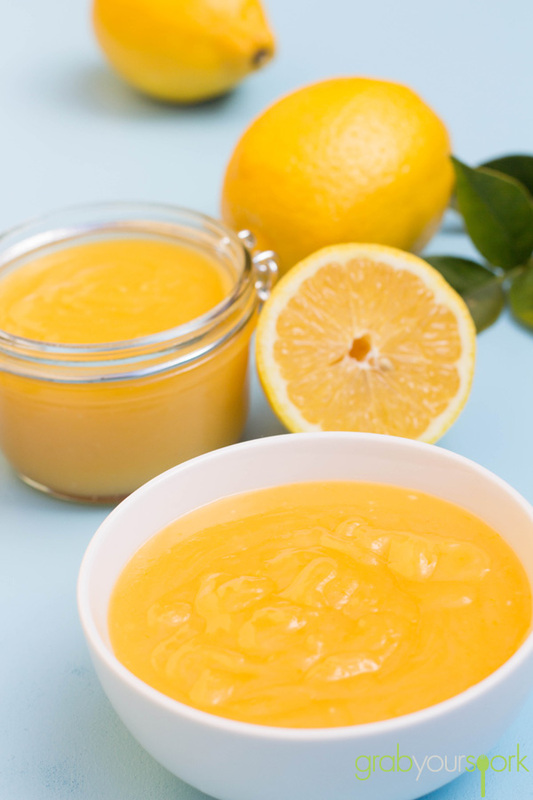 Love this, thank you for this it seems simpler than the other lemon curd recipes out there! I have to admit I only used half the butter stated in the recipe (40 grams) and then at the end, and 1/3 sugar as I like a tangy citrusy taste – just a little sweet. I folded the cooling lemon curd with four tablespoons of thick plain greek yogurt, served it in fancy Martinee glasses, and chilled it for three hours. Made a great lemony chilled dessert! Your lemon martini sounds delicious too!